We are offering top-of-the-line range of Manual Vial & Bottle Inspection Machine and these are available at affordable price in market. 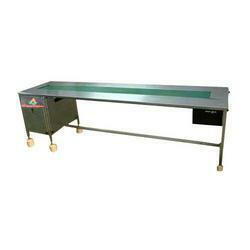 These machines are available in varied specifications as per the requirements of our clients. Our machines are precisely engineered at our state-of-the-art manufacturing unit using quality material and advanced technology. We are involved in offering our clients with a world-class range of Automatic or Manual Packing Conveyor. 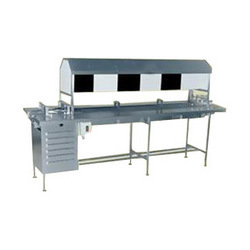 These stainless steel finish PVC packing conveyors with 225 mm width PVC belt are available in varied length starting from 8 feet with S.S. top on both side. Moreover, these conveyors are offered in diverse specification to meet our clients’ different requirements. Looking for Manual Vial & Bottle Inspection Machine ?